I stumbled across another useful Intune troubleshooting option. 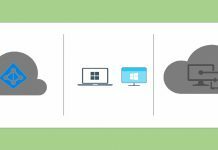 Have you notices an option in Intune troubleshooting blade to get into each set of device configuration profile? 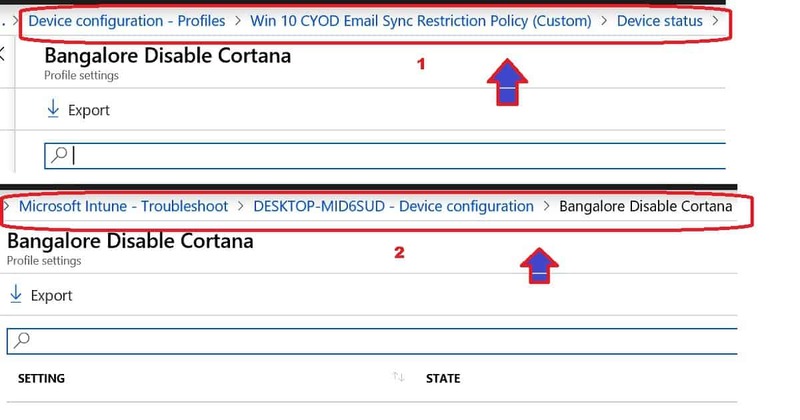 Intune Device Configuration profile settings view helped me to troubleshoot restriction policy deployments. 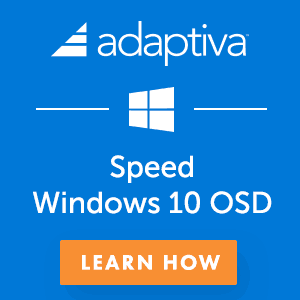 What is Device Configuration Profile Settings View? Where is Device Configuration Profile Settings View? Where to start checking Device Configuration Profile Settings view? 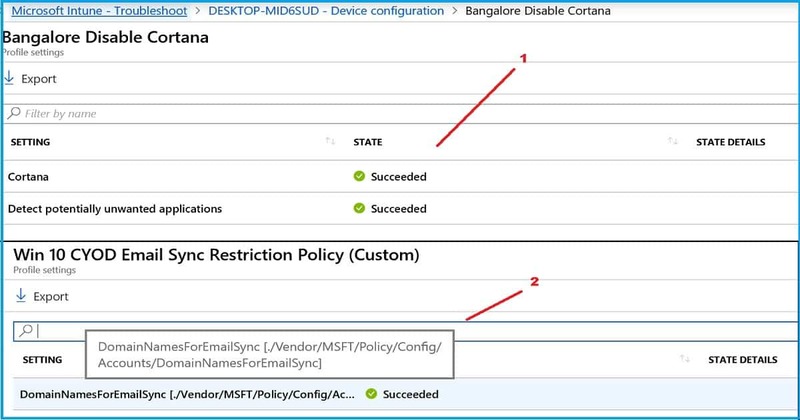 There are two (2) phases in Intune device restriction policy troubleshooting. All these two steps are explained in the video tutorial below. 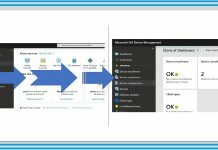 In all Intune troubleshooting, I would recommend to start with Intune portal and then move on to next level. 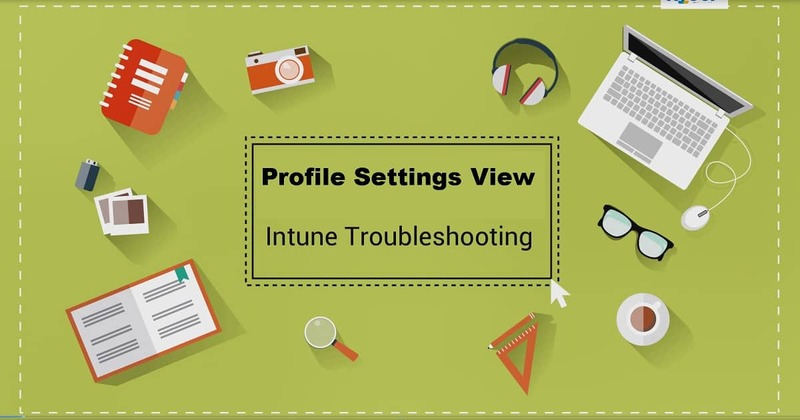 You might not have heard more about profile settings view as part of Intune troubleshooting blade. This profile settings view in Intune portal is an instrumental view for looking at each setting which you deployed to a device. There are three (3) types of details given in the profile settings blade. State Details —–> <Blank> – Coming soon? 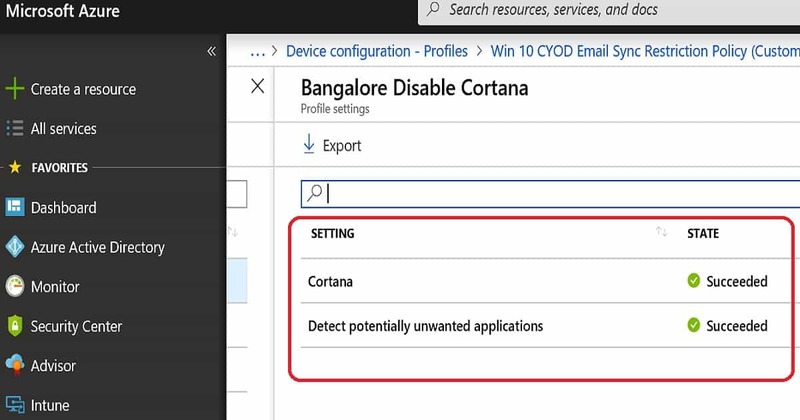 For example – If I have deployed a device configuration profile and that profile has ten (10) settings, Intune Device configuration profile settings view can tell you the status of each of those individual settings. It might be possible that out of ten (10) settings one (1) or two (2) setting got failed and rest all are succeeded. Using profile settings view you can quickly identify the problematic setting and further troubleshooting on it. There are a couple of options to get the details of profile settings of device configuration profile. The best approach is to use Intune troubleshoot blade blade to check profile settings view. The second option is to view it from Device configuration profiles blade. But both of the options will give you same data. The following steps will help you to get the details of Intune profile settings policies? This blade helped me several times to troubleshoot and drill down into the issue. Check out Profile Settings view to confirm which view is failed (if there is any)? I will segregate this device side troubleshooting into three parts. 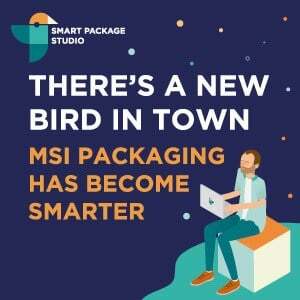 This segregation is based on the platform of the end user device. The troubleshooting Windows devices are the easiest way for me because I’m very used to Windows devices. But it could be different for you. 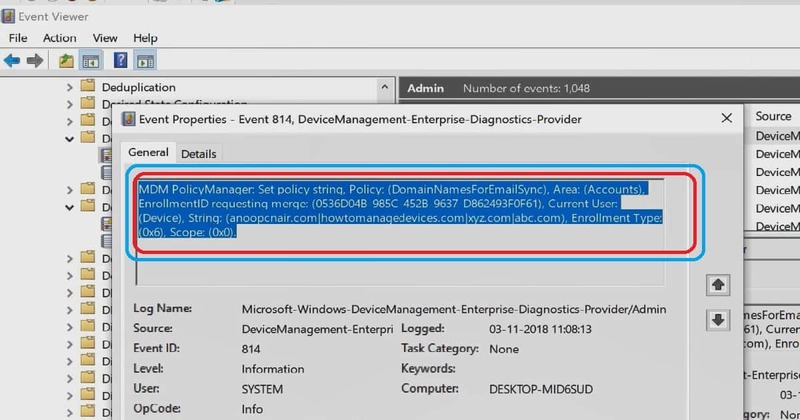 Event ID 814 Intune Policy Deployed successfully and applied on Windows 10 machine. 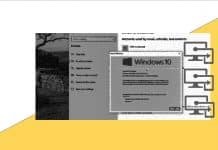 The best approach to troubleshoot iOS devices is explained in the Microsoft documentation here. 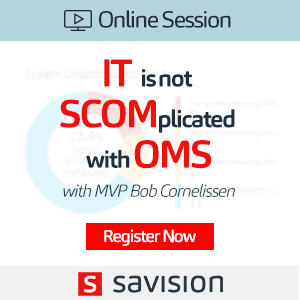 Another option is send the logs to IT admins using the Company portal app. Check the device configuration Profile Settings and then check the logs. Enter “about:intunehelp” in the navigation bar and follow the instruction from the screen. Check the device configuration Profile Settings and then check the logs at the Android device. You can get the logs from an Android device using Company portal application. Company portal application is required in Intune MAM only scenario for Android devices. 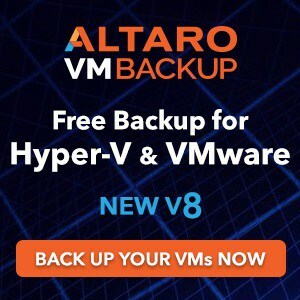 More details available in the following documentation from Microsoft. I recommend reading the documentation before starting troubleshooting Intune managed Android devices. 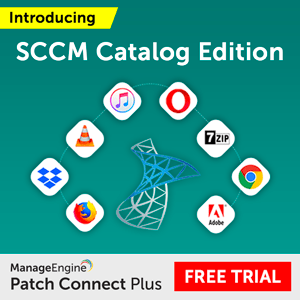 Previous articleFree SCCM Scripts Addons Tools – Download Tools from Console?